Night-glow is a phenomenon in which a planet's sky faintly glows, even without external light. 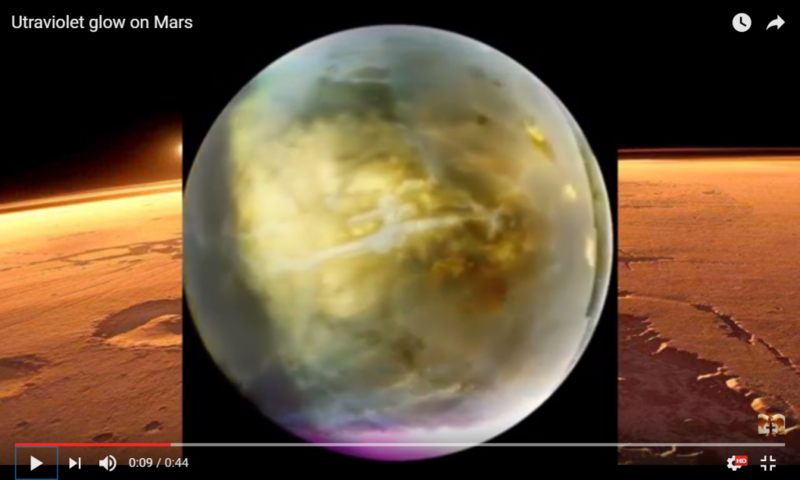 The same phenomenon happens on Mars and this is attributed to the emission of nitric oxide. The emissions are produced when UV light from the sun breaks down carbon-dioxide and nitrogen present on the day side of Mars. The remaining atoms across the planet is circulated by the high-altitude winds. On Martian nightside, atoms flow down to lower altitudes, where the combination of nitrogen and oxygen takes place, creating nitric oxide. The energy created during the combination of nitrogen and oxygen is released as UV light, which is the reason for the illumination of the planet's atmosphere.